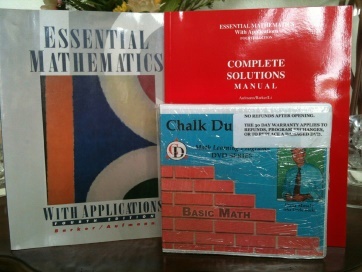 Basic Math 4th Edition Full Set is 4 DVDs, 4th ed. used softbound textbook, new 4th ed. Complete Solutions Guide with 6 chapters, and student technical support. Chapters 1-6 are on grade level at Grade 6. Limited availability. Disc 1 - 3 hours 16 min. Disc 2 - 3 hours 32 min. Disc 3 - 3 hours 9 min.